Mission Objective: We should have an opening ceremony for your Farm School in Farmville 2 School’s Open! Quests. You’re doing something wonderful for the County’s children. Your School deserves a grand opening. You can find here all the information you will need in completing this Farmville 2 Quests. 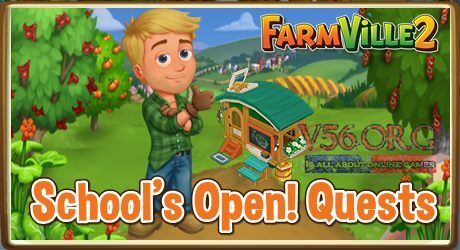 The Farmville 2 School’s Open! Quests is available from August 14 to 28.